At 9:00 a.m., the Sail-On Contemporary service takes place in Fellowship Hall. 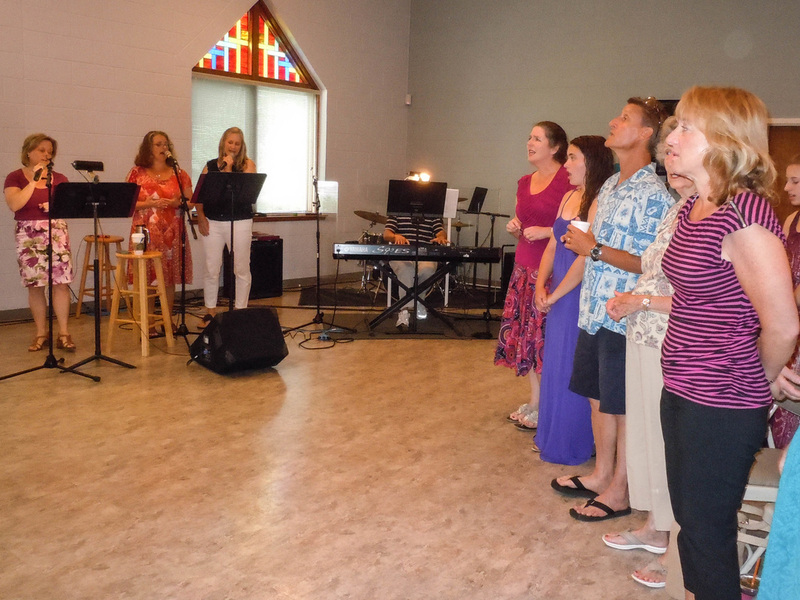 The Praise Team provides music before and after the service, as well as leading a time of music participation during the service. There is child care during this service, but because of the more casual nature of the service, children are also encouraged to participate in the service. There is a Time with Children at this service. Light refreshments are available before, during and after the service in Fellowship Hall. This service is usually about 45 minutes, allowing time for participants to attend 10:00 Sunday School classes.